This amazing photo is of an RV Garage where we have just finished hanging and taping the drywall in Oak Hills, Ca. This job is about ready for some texture! All new construction for this huge garage which has been fully drywalled and includes quite a few solar tubes. Acoustic Ceiling Removal Emergency! We are in Hesperia, Ca where this ceiling is in need of some serious care. Luckily this customer called us to help them out with this part of their renovation. We scraped off the old nasty acoustic texture and applied modern hand texture. 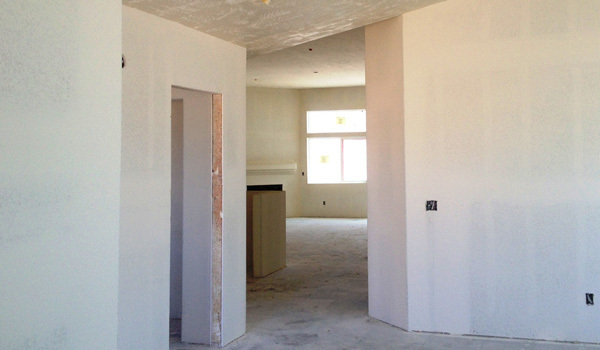 Here we have been in Pinon Hills, Ca doing some new construction drywall taping and texture. The customer actually started hanging some of the drywall before we got the call. So here we applied the tape and mud and just sprayed the first coat of texture. We will let this dry a then spray the second coat. We have been in Apple Valley over the past week where we are finishing up the drywall work in this new construction home for Evergreen Homes. We added an awesome orange peel texture to the walls and a custom hand texture to the ceiling making this new home ready for paint. We were in Rancho Cucamonga last week working on this water fountain. 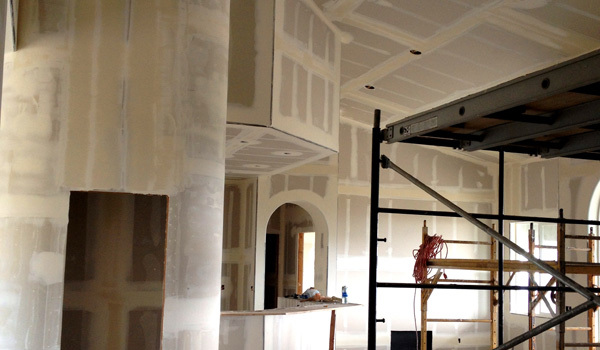 This is not your average metal stud job, but just shows the versatility of your favorite drywall contractor! 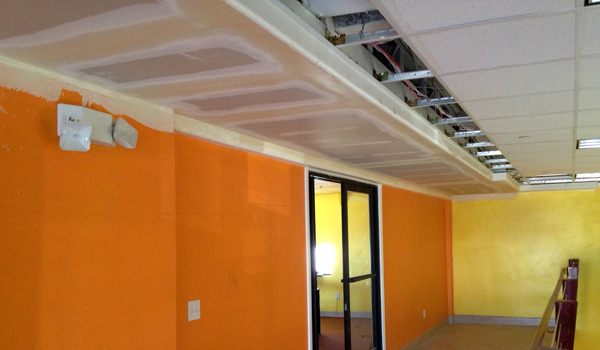 We landed an acoustic removal and ceiling texture job last week in the Inland Empire area of Rubidoux. So after working in Apple Valley for most of the week, we headed down to get this done before the weekend. 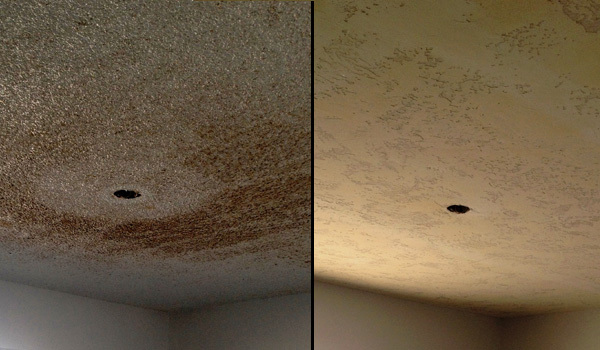 Our customers realized how old, dingy and outdated the popcorn ceiling made their home look and wanted to take advantage of our 'no-mess' acoustic (popcorn) removal process. It will be ready for paint on Monday and in our opinion, has drastically improved the look of the interior of their home. 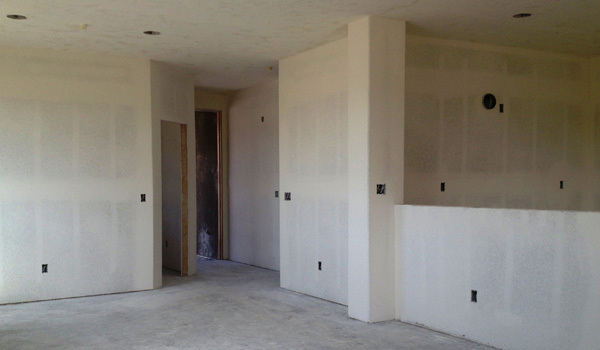 Thanks for choosing David's Drywall ! This job is about to get sprayed with another round of texture! 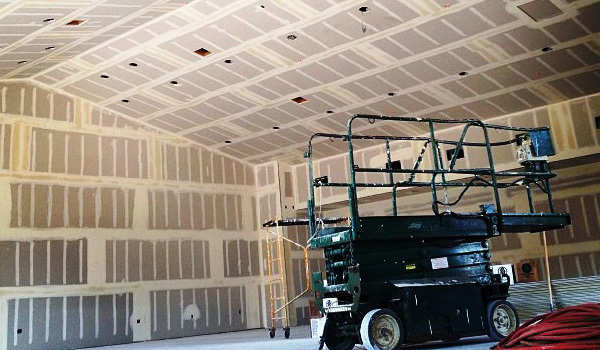 We are at the new home of Life Point Baptist Church in Apple Valley, CA where we have been hanging and taping the drywall for this enormous new church for the last couple of days. We are now finishing the drywall, adding our amazing texture and getting this church ready for paint. 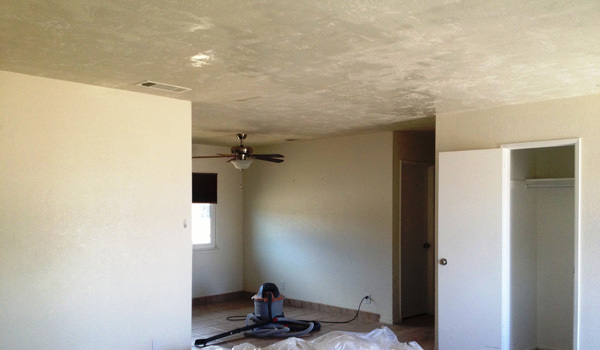 Here is a quick little acoustic removal & custom hand texture job we did at the end of last week in Hesperia, CA. 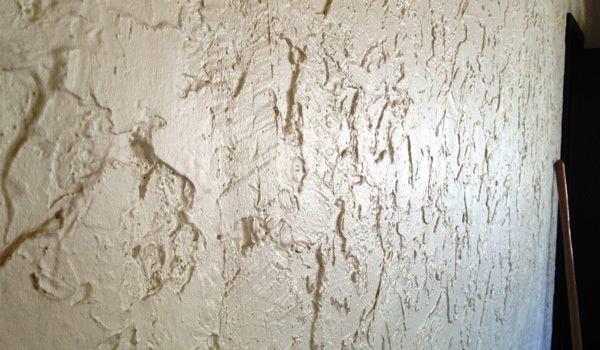 With our 'No Mess' removal process, we remove that nasty old 'popcorn' ceiling look and slap it with a custom hand texture. This made the home appear much brighter and cleaner. For the last couple of weeks we have been in Apple Valley, CA where we have been hanging, taping two brand new homes. Here we just have finished spraying an awesome texture making it ready for paint. We are working with Evergreen Homes LLC. to get a bunch of homes built in an already planned housing tract. These two new homes are just the beginning! So after scraping, sanding down the old texture we were finally able to throw on an orange peel texture. 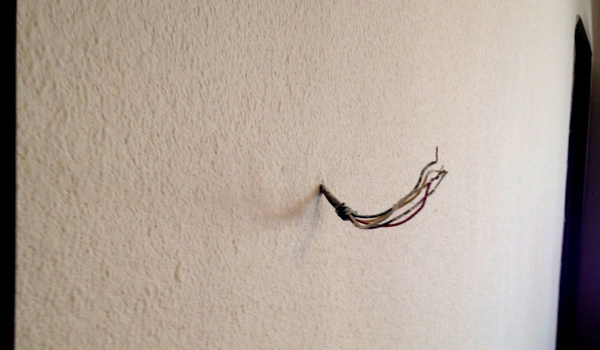 Although I am not too sure where that set of wires was hiding. What a difference!. Starting off this month in Norco, CA where we are working on a Home Remodel. This wall texture is just one example of the different tasks David's Drywall will be improving at this location. We will be scraping it down, adding a little mud to make it as smooth as possible before applying an awesome orange peel. We will post some photos of our progress so be sure to check back soon! 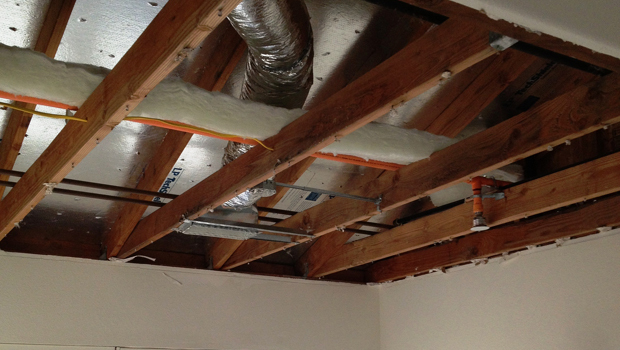 Here were are in Hesperia, CA working on some water damage that our client received from a broken sprinkler pipe in the ceiling. 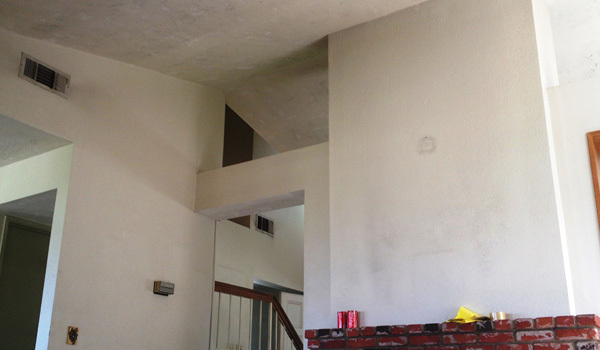 Once they completed the demo of all of the old drywall in the soffit they called on David's Drywall to come in and make this look like it never happened. After all of the cold weather we had last month, some pipes couldn't handle the 10° temperatures resulting in some water damage repair. Fortunately we are just a phone call away! This project takes us to Wrightwood, CA where we are hanging and taping up these boards all of the way to the peak of this vaulted ceiling. We will also be applying a custom hand texture as well. Check back soon and find more updated photos of this job in our image gallery. 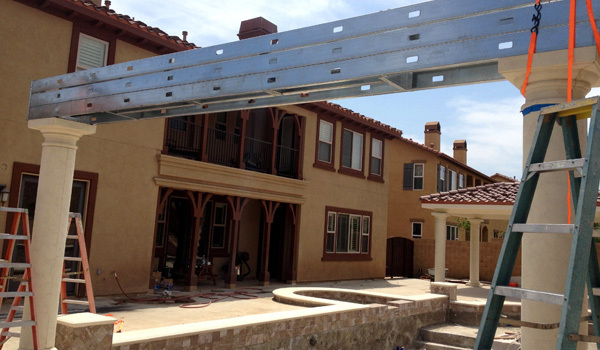 Here we are working on a new construction home in Spring Valley Lake, CA. We will hang the drywall, tape, texture and probably even paint! 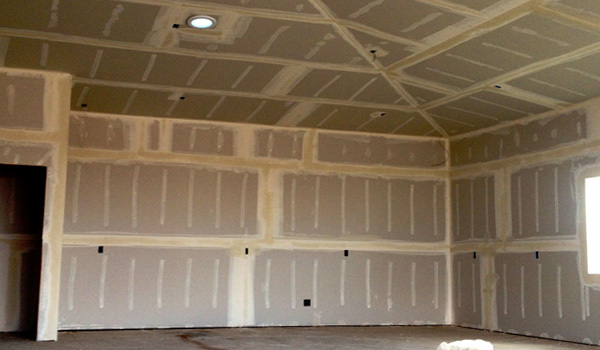 We are that one-stop-shop for your drywall services. Hello Everyone! This a new construction job located in San Dimas, CA that we picked up. It uses all Metal Stud framing where we will then hang all of the drywall, tape and texture the whole place. This building features vaulted ceilings, soffits, can lighting and many too many details to mention here.